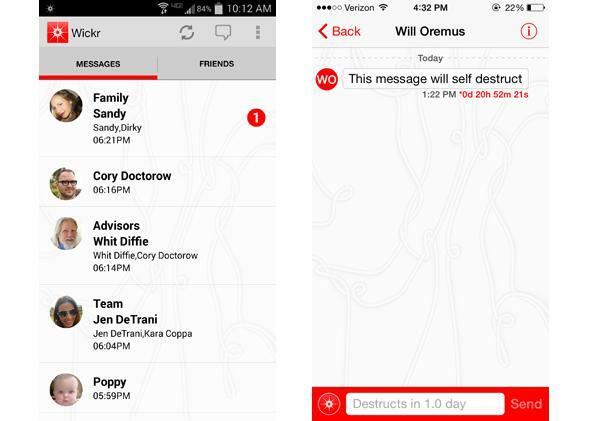 Nico Sell, the co-founder and CEO of Wickr secure messaging app, says privacy can seem cool. Every week new stories come out about software vulnerabilities and large-scale data breaches. It’s kind of exhausting. Protecting yourself from all the threats can seem like a lot of work—and no fun. But Nico Sell, the CEO and co-founder of secure messaging app Wickr, says that there’s a way to reframe privacy products to get kids excited about using them. And it could work on everyone. First of all, “Don’t use the words privacy and security,” Sell says. The goal is to move away from topics that people might associate with responsibility and effort, and instead present secure products as cool and intriguing. Having an online identity that could be viewed by anyone in the world once seemed novel and exciting. But Sell believes it’s now so commonplace that the reverse is true: Being hard to track online and having a small digital footprint make you seem more sophisticated than those whose photos and personal information are instantly Google-able. The “make privacy and security cool” approach seems to be working for Wickr so far. In February it had a 50 percent rise in growth after Snapchat admitted that it had vulnerabilities and had been hacked. And the goal is to take Wickr from millions to billions of users.